Things have gone from bad to worse for HTC, and the situation is getting bleaker. According to a dispatch published today from Reuters, HTC is going to eliminate 1,500 manufacturing jobs in Taiwan. That means the company is letting go of a quarter of its remaining employees around the globe. The latest smartphone released by the company, the HTC U12+, isn't expected to generate the sales achieved by other Android manufacturers' flagship models. In recent years, HTC has lost its way. Last year, the company received a much needed cash infusion of $1.1 billion from Google in exchange for 2,000 handset engineers who now work for the search giant. Sales declined 55.5% and 46.7% in April and March, respectively. At one time, HTC had a global market share of 10%, and produced some of the most interesting handsets in the business such as the HTC Touch Diamond, Sony Ericsson Xperia X1, T-Mobile G1, Nexus One and the HTC One (M7) to name a few. But lately, the manufacturer has found itself unable to compete with other Android handset producers like Samsung and Huawei. 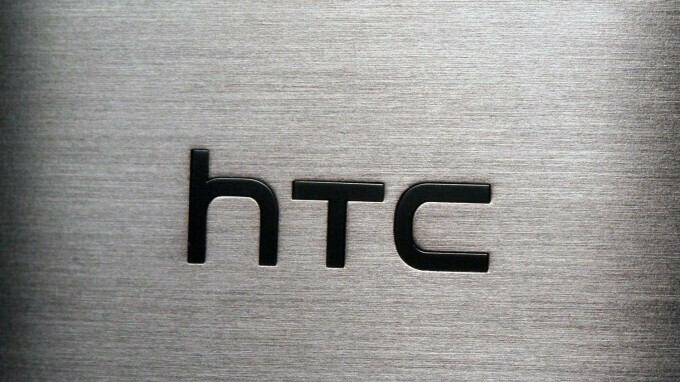 HTC says that the layoffs are part of a move to unite the company's smartphone and VR business under the same top executives in each region where it does business. The company will complete the layoffs by the end of September. What happened HTC. They used to be so good! I don't like where HTC is heading. I'm starting to lose faith in this company. How unfortunate. This an example of the challenges that face Android long term. Very good illustration and analogy you wrote! That is was my whole point. What happens is that Google created a free and open market for all manufacturers to participate...as a result causes companies to compete amongst itself and provide strictly on low margin on their product. This creates a branding perception for the entire Android OS ecosystem. At low margin, Android companies are struggling to sell or move units. I seriously thought of getting an HTC, but the thing that held me back was the fact that it seems like they're always a step away from going belly up. I love their phones and really want them to succeed, but they aren't instilling any confidence. Also, they're not promoting their phones in any way that we can see. Might be too late for them, but I think they could do well as a 1+ competitor. Throw in the towel, they can't come back. They need to do what Nokia/Moto are doing, release solid hardware at every price point and focus on Android One with updates as the selling point. Noone cares about Sense or Blinkfeed or the rest of the HTC gibberish anymore.Things are not going to get better with their current trajectory. They were known for incredible design and build quality, HTC get back to that and make Android One phones. We know you are fully capable! I thought the Google tie would help, but then the leaked photos of the Pixel 3/3XL show there's not much of the HTC pizzazz happening now. That HTC Evo 4G was ahead of it's time, but even it was stuck on Sprint. That was the last HTC I've owned because everything since has been just a step below. Also didn't care for the slow Android updates from HTC & Sprint. Ditched them both. edge sense is ok, you will see it implemented by apple and everyone will love it. with the other points you are spot on. When you see how even Samsung strugling, it's not hard to see that all old Android phone companies will die sooner or later (htc, LG, Sony). Samsung will survive, but for them too it's just too late to make comeback thanks to those chinese companies. Htc will make the exist first then sony then may be lg if their mobile bussiness didn't turn a profit in future constantly after that it might be motorola too if chinese companies constantly set up the competiton very high in midrange phone segment at good price pint and expand and maintain their global presence all over different regions, places very soon. I hope htc go bankrupt. I got screwed over by them twice -tytn II had sold without a graphics driver that crippled them. many other models at that time also were crippled. -htc one m7 garbage purple camera with stripes, s**tty recharging. overheats. garbage phone. the faster they go, the better.